With Samsung’s Galaxy Unpacked 2019 event scheduled for February 20, it’s always been assumed that the company’s upcoming Galaxy S10 smartphone range would be officially revealed at the conference. 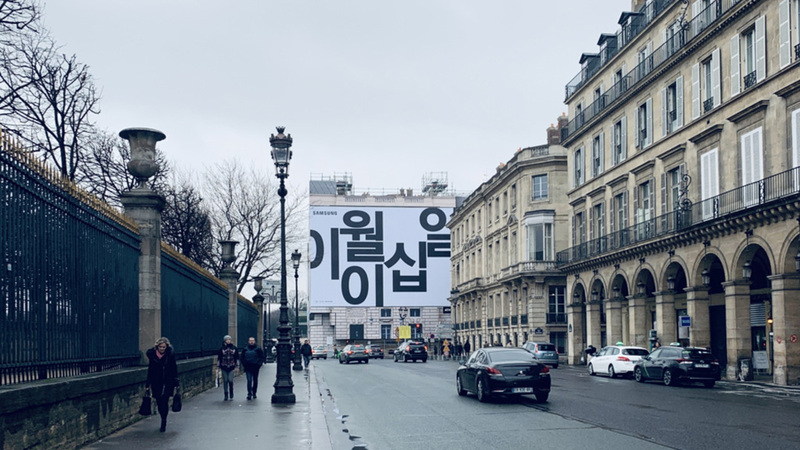 Now, it seems it won’t be alone – thanks to some not-so-cryptic billboards installed at the famous Place de la Concorde in Paris, France. It appears that Samsung’s highly-anticipated foldable phone will also be officially unveiled at the event. Samsung’s delightfully unsubtle messages back up previous claims that the Galaxy X (or Galaxy F, as it’s also known) would be making an appearance at the event, which will be held just one week prior to MWC 2019. As clear as all of this may seem, we can’t confirm anything at this stage – you’ll have to tune in to Samsung’s live stream, which will be hosted on its website, at 11am PT (2pm ET, 7pm GMT) on February 20 to see what Samsung truly has in store for us.